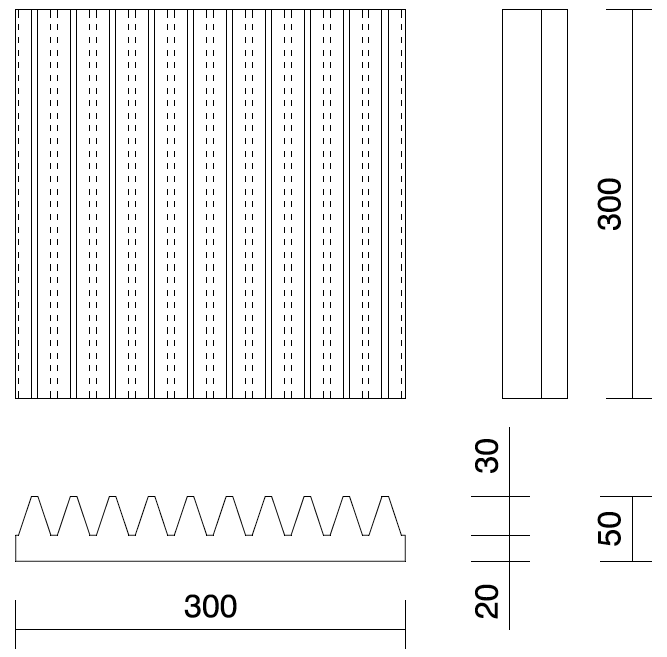 Small-format sound absorbent panels of 30 x 30cm (thickness of 50mm). Boxes containing 24 - 32 units to cover up to 2.2 - 2.9 m2. ZHFR acoustic foam in charcoal, garnet or purple, self-extinguishing, E-d0 (EN 13501-1). VÄXEL panels are small-format sound absorbent panels. They are highly dynamic, with a simple design and high sound absorption and are affordable absorbers with a versatile profile for the treatment of primary reflections, acoustic conditioning in small rooms and perfect for treating vocal booths. They are made with our special ZHFR acoustic foam, with an improved porosity coefficient to obtain a high performance in sound absorption. Their design, which doubles the effective absorption surface and its size, means they can be installed in many different combinations and aesthetic patterns. Their efficiency, versatility and affordable cost, make them "must have" absorbers in any sound studio. Their profile is based on the accuracy of the gear movements. A simple design that doubles the apparent absorption surface; this is the key to their successful presence in music studios all over the world. Soundproofing treatment for music studios; control of reverberation and primary reflections; reduction in flutter echo and spot treatment. These panels have a small format and are specially designed to cover the acoustic requirements in small rooms where basic, functional sound absorption treatment is needed, at a small cost.